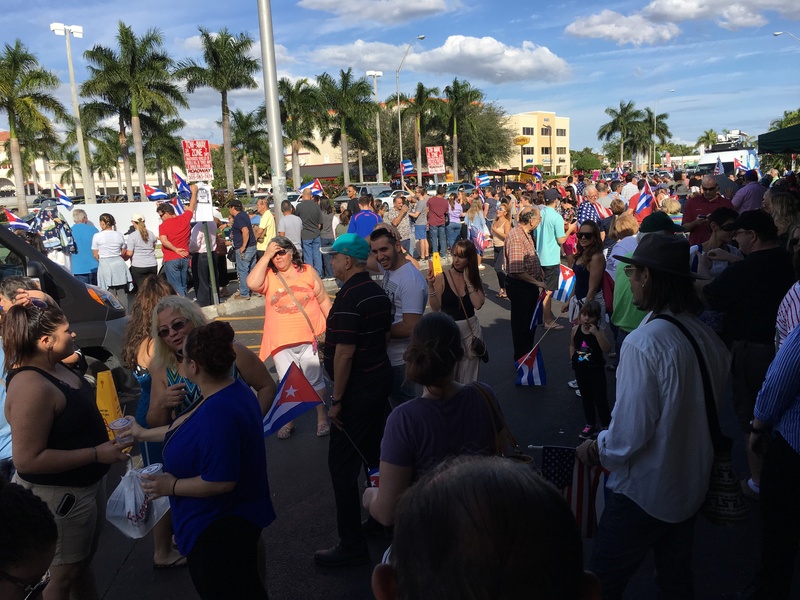 Hundreds of people gathered spontaneously at La Carreta in Westchester with Cuban flags and homemade banners. Photo Source: Ben Wolford. November 25, 2016.